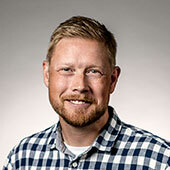 Jonas Fredriksson is Professor of Mechatronics in the division of Systems- and Control. With a PhD in control engineering and a thesis on automotive powertrain control, Jonas is involved in research projects related to hybrid electric vehicles, vehicle dynamics, automotive powertrain control and active safety. He leads and supervises research and education up to graduate level and teaches a range of subjects within the area of mechatronics.Jonas is also Vice Head of the Department Electrical Engineering with responsibility for doctoral education. There might be more projects where Jonas Fredriksson participates, but you have to be logged in as a Chalmers employee to see them.